Disney Springs is now nearly complete, after a several year makeover which saw the addition of dozens of new shops and restaurants. 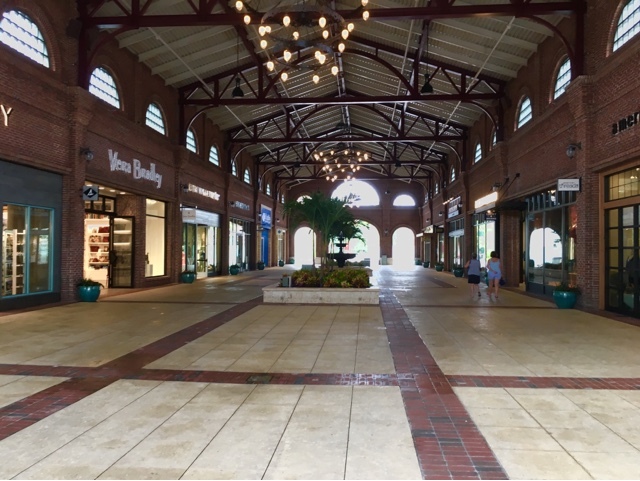 The newest section opened in early summer and is called Town Center. I took this shot of the "covered" part of Town Center while visiting a few days ago. You can see that is was very quiet that morning.